This is a four page set. 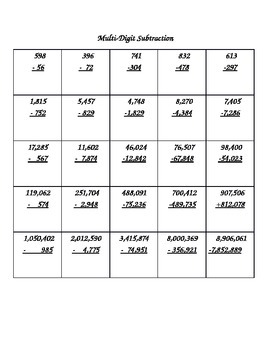 One page of 25 multi-digit addition problems with a corresponding answer sheet. 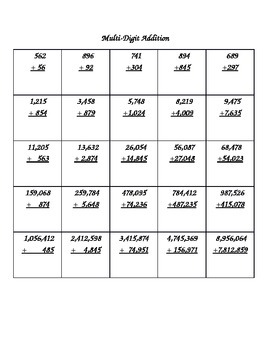 One page of 25 multi-digit subtraction problems with a corresponding answer sheet. All of the problems range from hundreds to millions.